Bethany is now accepting horses for full or partial training in dressage, liberty, or a combination of both at Dover Stables in Waterford, WI or she is able to come out to your farm. See how learning dressage can transform your horse is to a happy, willing partner. You will achieve things you never dreamed possible! Dressage provides a great foundation for your young horse. 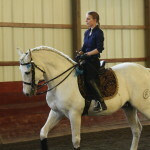 The principles of classical dressage will benefit your horse no matter what discipline you decide to pursue. 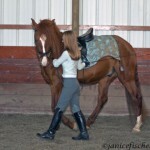 Bethany has extensive experience starting horses under saddle. Have you encountered a problem with your horse such as bucking, rearing, spooking, or bolting? Bethany’s unique style of training, which uses classical dressage principles combined with liberty training can transform your horse in to willing partner you’ve always wanted. When you speak to the horse in a way that it can understand and build a relationship with it, you will have a partner for life. 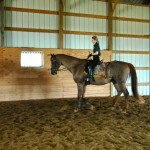 For more information about training please contact Bethany at 630.935.4738 or tuskeydressage@yahoo.com.